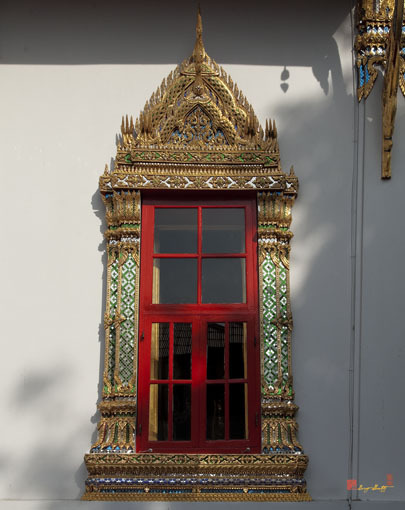 Wat Thong Thammachat Worawihan, วัดทองธรรมชาติวรวิหาน, is located in the Khlong San area of Bangkok on the west bank of the Chao Phraya River. 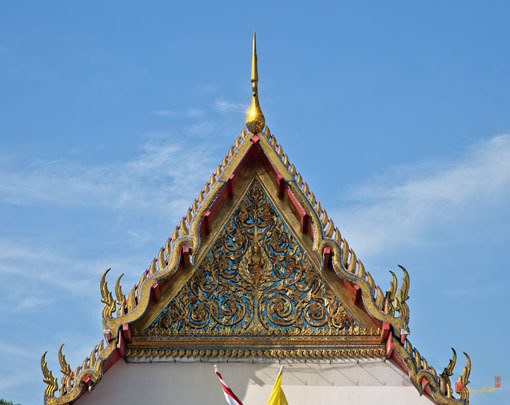 Thong Thammachat means "golden nature". 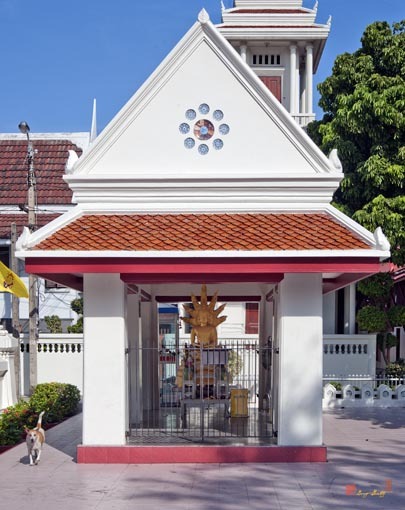 The temple is a third grade royal temple of Worawihan. 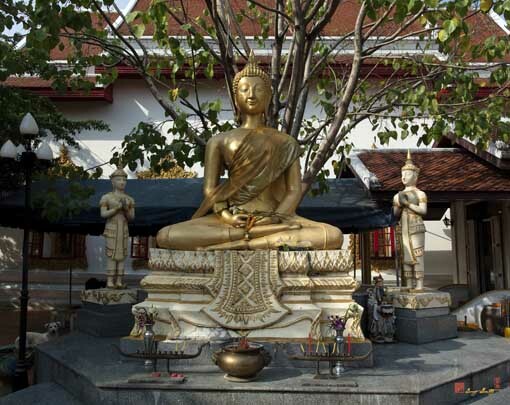 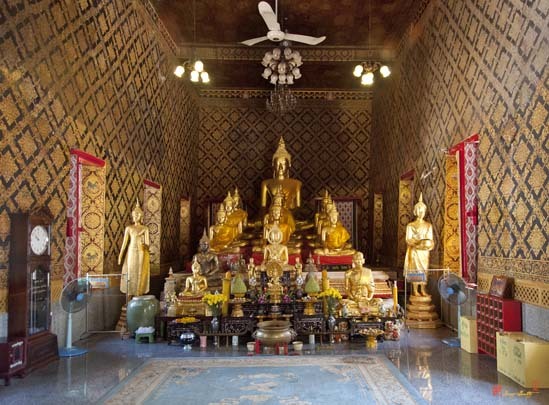 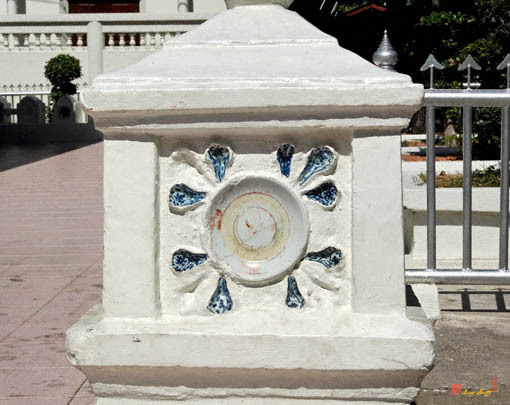 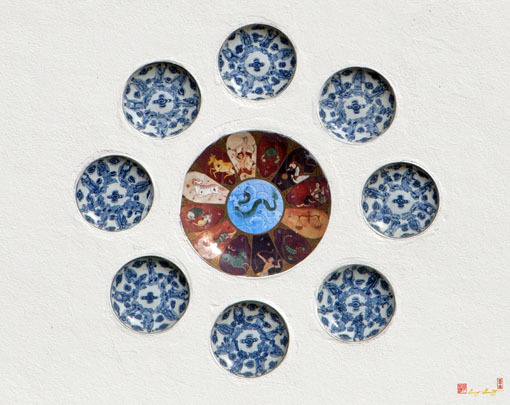 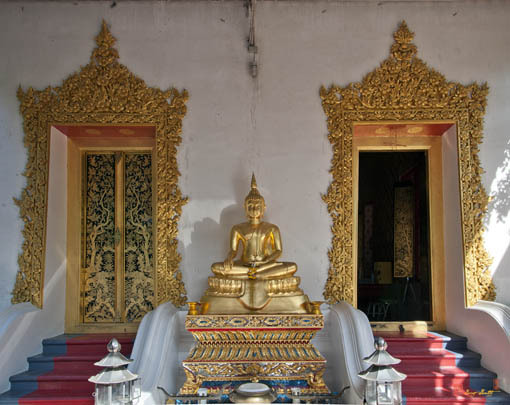 It is dated to the Ayutthaya period and was originally named Wat Thongbon. 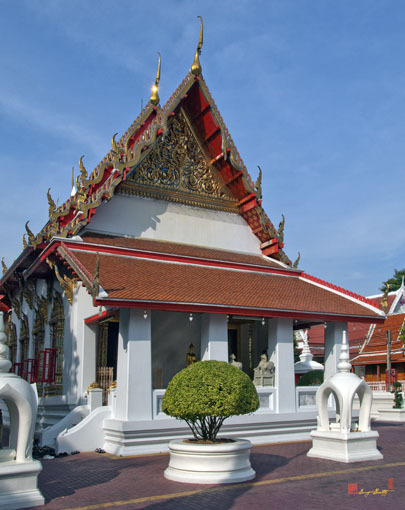 During the reign of King Rama I, the temple was restored by His Majesty's sister, Krommaluang Narinthorn Thewi (Chao Khrok Watpho) and her husband, Krommamuen Narinthorn Phithak. 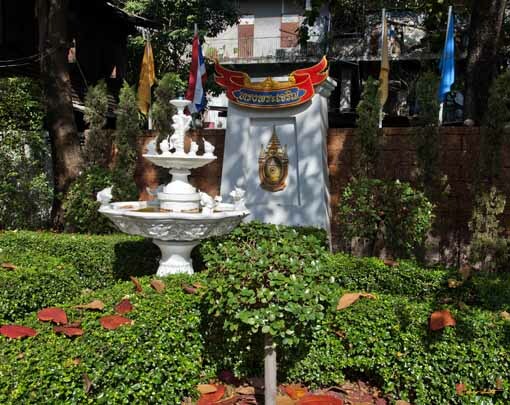 Later, King Rama III assigned Krom Somdet Phradechadisorn as the chief for the restoration and expansion of the entire temple. 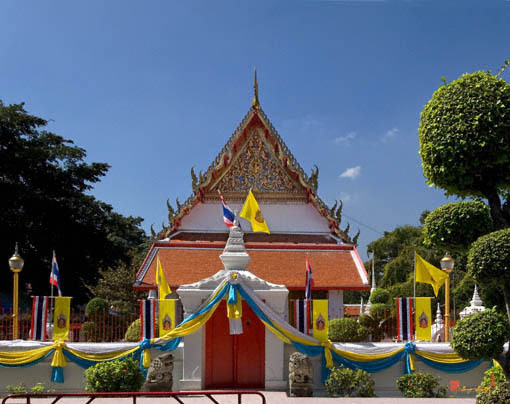 King Rama III then granted it the status of a Royal Temple and renamed it Wat Thong Thammachat Ratchapatisangkhon. 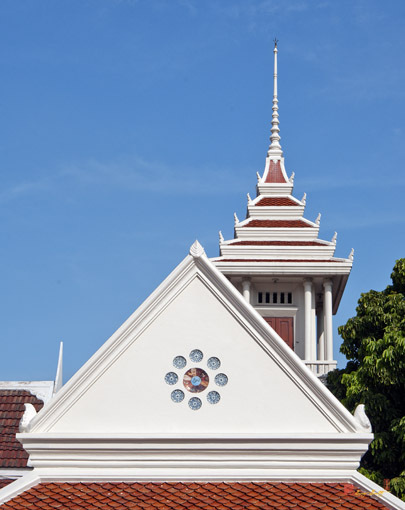 In 1915, during the reign of King Rama VI, a large-scale restoration of the Ubosot (Ordination Hall) was carried out, but the original shape was maintained. 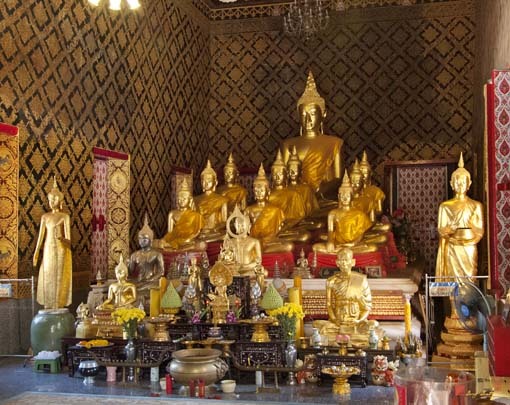 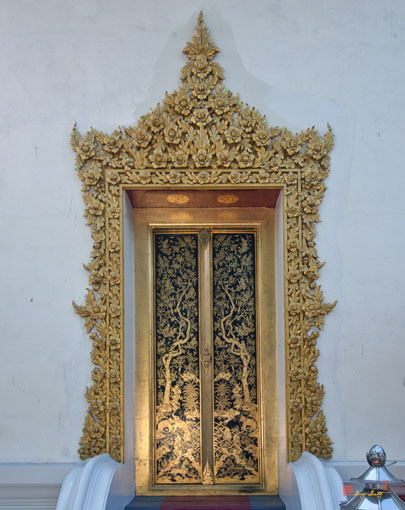 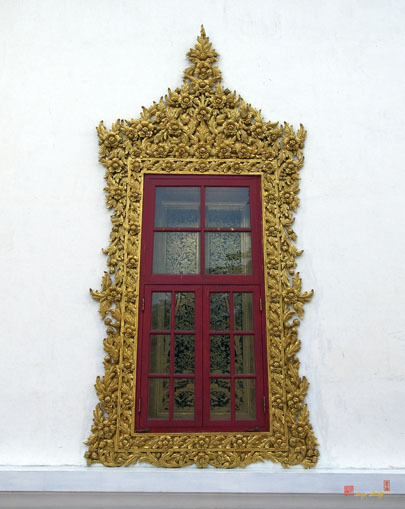 In the Ubosot, the Principal Buddha Image, made of gold covered plaster, is seated in the Subduing Mara (demon) posture. 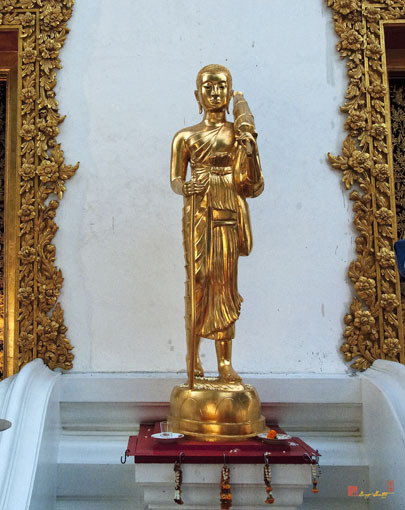 King Rama IX named the image Phra Phutthachinnachat Matthammakhun.